Ah, the subject parents love to discuss the most—baby diaper messes. Before the days of disposable diapers, cloth diapers were the standard—and they’re making a comeback. 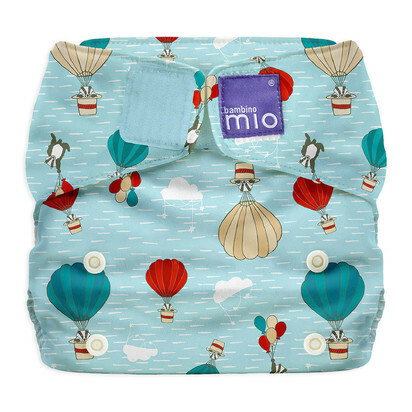 In an age where parents are becoming more environmentally conscious, or are just looking for a less expensive long-term diaper option (disposables are expensive, and with multiple children—even more so), more and more brands are making practical and affordable cloth diapers. Apart from the environmental and financial upsides, our research showed that cloth diapers are often times a more comfortable fit for baby. Cloth diapers can be tightened more snugly than disposable, which can be abrasive on baby’s skin if on too tight. Many cloth diapers can also grow alongside your baby, removing the worry (and wasted money) on having too many of the wrong size disposable diapers. Disposable diapers also use chemical gels to absorb moisture, whereas cloth diapers nix the chemicals altogether and use super absorbent, self-wicking fabrics instead. 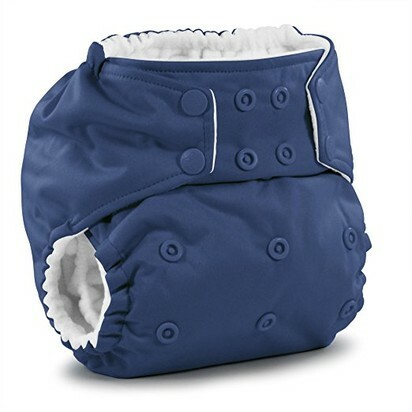 When you think of cloth diapers, your mind may immediately turn to flat and pre-fold cloth diapers. You know, the flat, thick, piece of fabric that needs to be folded and pinned? Those are still around, and are cheap and easy to find. They don’t fit as snug as an elastic band, however, and still need an extra protective waterproof shell to keep any messes from… well, getting messier. Not to mention, the risk of poking baby with the pin can cause quite a few tears for baby and mom (we recommend using a Snappi instead). 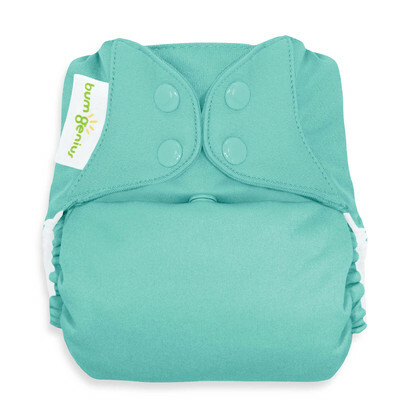 Pocket diapers are snazzy in that they have a pocket where you can insert a cloth liner to absorb messes, and you’re able to adjust its position as needed for maximum absorbency. 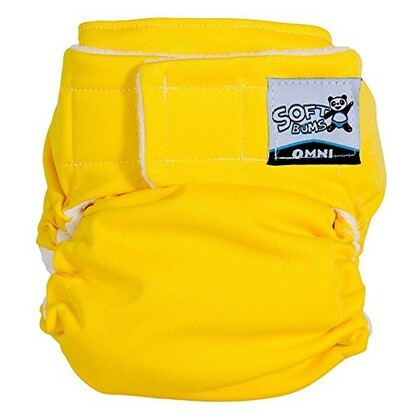 All-in-one cloth diapers are similar, but have the added benefit of not requiring liners. All-in-ones have all cloth interiors and the whole diaper can be thrown into the wash when soiled. 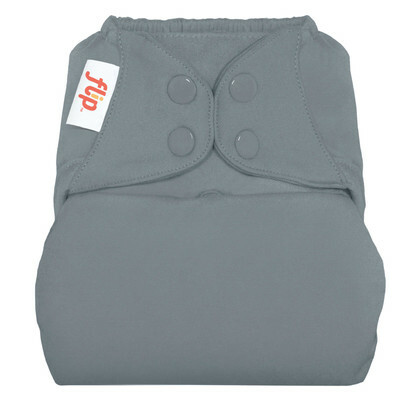 Both pocket diapers and all-in-ones are have waterproof exteriors, so an extra shell layer isn’t needed. We searched the market and analyzed customer needs, questions, and real reviews to choose our favorite cloth diapers across various types. Finding the right cloth diaper takes time, trial, and error, and we want to make it as easy as possible to weigh the differences, benefits, and price points. Remember, however, that one cloth diaper style or brand may not work forever, and that it’s okay to mix and match to customize your perfect fit. If you’re new to cloth diapers, you’ve probably wondered how the heck you’re supposed to get them clean. Worry not—our handy infographic for basic cleaning and washing tips will get you through even the messiest of times. 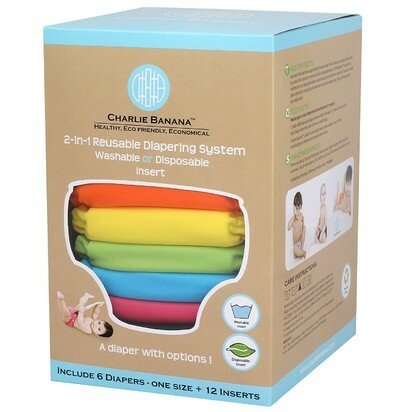 Keep in mind that some cloth diaper brands use special fabrics (like bamboo) that may require special wash treatment, so always double check the diaper’s care label before jumping in. It’s important to remember that babies and their needs change, and sometimes in an instant. Cloth diapers can be a solid chunk of change up front—in return for long-term savings—so we recommend starting with a few different styles and brands, and mixing and matching to see what combinations work best for you and baby. A good mix of cloth diaper options will serve well if and when your needs change, and you’ll be able to customize accordingly. If you’ve been around the cloth diaper block before, we want to hear about your experience! Let us know which types and brands are your favorite on Twitter and Instagram.